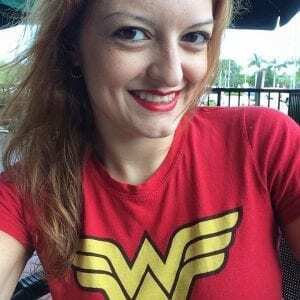 Irina Gonzalez is a writer for LendingTree. Although hybrid vehicles have been around for more than two decades, with the release of the Toyota Prius in Japan in 1997, they are finally hitting their stride as many manufacturers offer them as versions of at least one — or more — of their all-gasoline powered lineups. Plug-in hybrids, also known as PHEVs, take the efficiency of a traditional hybrid and maximize it with the help of a high-capacity battery than can be recharged using an electrical outlet or charging station. Traditional hybrids don’t use charging stations, but are less expensive than their plug-in siblings, which are able to travel longer distances on electric power. Unlike electric vehicles (EVs), which we’ll detail later, PHEVs have the backup of a gasoline engine. While some manufacturers are banking on EVs over PHEVs down the road, there are plenty of plug-in hybrids to choose from, including those on this list. Cost, mileage and high ratings from Kelley Blue Book (KBB) experts and consumers on Edmunds, as well as the National Highway Traffic Safety Administration (NHTSA) and Insurance Institute for Highway Safety (IIHS) were factors in determining these picks. A few notable missing vehicles on our list: the 2019 Toyota Prius Prime and 2019 Honda Clarity, neither of which had expert ratings as of press time, and the Mercedes-Benz GLC 350e, which did not get an update for 2019. We’ll talk more about the differences between hybrids and electric vehicles later, along with ways to finance them. Not only does Chevrolet make the all-electric Chevrolet Bolt, it’s been turning out the highly-rated Volt hatchback since 2010. When it has a full charge and a full tank of gas, the Chevy Volt can travel 53 pure electric miles and up to 420 miles total — those electric miles double the range of Toyota’s (less expensive) plug-in 2018 Prius Prime. But you’d better move fast if you want one — General Motors is reportedly pulling the plug on the Volt. There’s also a time limit on the full federal tax credit of $7,500 tax credit — March 31, 2019, with gradual decreases for the next year. (As for the 2019 Prius Prime, it just came out and doesn’t have enough ratings from KBB or Edmunds, so therefore didn’t make our list.) 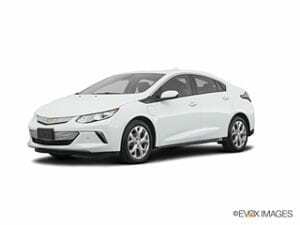 New for the 2019 Volt is the addition of a high-definition rearview camera and Chevy’s Infotainment 3 Plus system which includes an 8-inch touchscreen, Apple CarPlay and Android Auto. 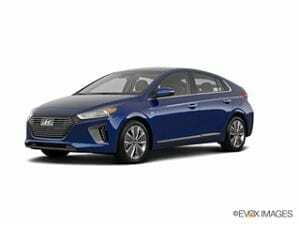 You might feel a little confused when first reading about the 2019 Hyundai Ioniq, and that’s because the car actually comes in three different versions: a hybrid, plug-in hybrid and pure electric. (For purposes of this review, we will be focusing on the plug-in hybrid version.) With a 29-mile all-electric range, it’s not as impressive as rival hatchback the Chevy Volt, but it may be enough for the average commuter. The Ioniq Plug-in Hybrid comes in two trims, with the Limited version (starting at $29,350) adding more advanced safety features as standard, like smart cruise control and automatic emergency braking. Both come with Hyundai’s 10-year/100,000-mile powertrain and lifetime battery coverage. However, note that the 2018 Ioniq Plug-In Hybrid qualifies for $4,543 in federal tax credits but not 2019 models, according to the Department of Energy. Hyundai also offers a plug-in version of its Sonata sedan, but it lacked consumers reviews on Edmunds as of this writing. The luxury brand is no stranger to environmentally-friendly vehicles, including its BMW i series, which includes the boxy i3 sedan and i8 coupe or roadster. The i8 series didn’t make our list not just because of its steep price tag, but also because it also wasn’t yet rated by KBB as of this writing; neither was the i3. We also steered away from the 7 Series plug-in hybrid sedan, which starts around $90,000. 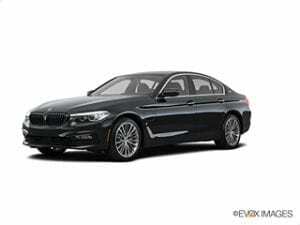 Instead we turn our attention to the 5 Series, specifically the 530e Plug-in Hybrid. It’s worth noting that KBB score, above, is for the entire 5 Series, not just the plug-in hybrid; however, Edmunds consumers specifically grade the 530e, giving it 4.6 out of 5 stars as of press time, with 7 of the 10 reviewers rating it a full five stars. The 530e comes with BMW’s turbo 4-cylinder gasoline engine and an electric motor that gives it almost 30 miles of electric-only range. Drivers can also expect BMW’s standard perks including adaptive LED headlights, navigation system and more. It also offers the option of adding all-wheel drive, which BMW calls XDrive. The 2019 530e is available for $4,668 in federal tax credits. In addition to being the only hybrid minivan on the market, the Pacifica deserves a place on this list as an eco-friendly vehicle with plenty of space. Though significantly more expensive than its non-hybrid version, the plug-in hybrid Pacifica offers 33 miles of electric-only range on top of its standard V6 engine. 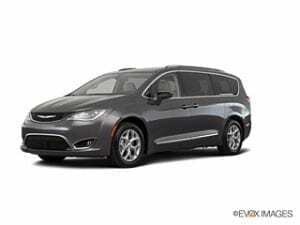 Just as with the BMW 530e, the KBB experts rating here is for all versions of the Chrysler Pacifica, while Edmunds consumers specifically rate the hybrid version. But the van itself offers some nice perks — with the higher price of the hybrid comes the Touring Plus trim with power-sliding doors, 8.4-inch touchscreen, Apple CarPlay and Android Auto, rearview camera, rear parking sensors, blind-spot monitoring and rear cross-traffic alert. The 2018 Pacifica hybrid is available for $7,500 in federal tax credits but not the 2019 model, according to the Department of Energy. For anyone looking for a small SUV that’s also fuel efficient, the 2019 Kira Niro Plug-In Hybrid might just be the car for you. The Kira Niro comes as a (less expensive) traditional hybrid and a plug-in hybrid. Both cars are family-friendly, but you’ll get the most bang for your buck and the greatest eco-friendliness from the plug-in hybrid version, which can travel up to 26 miles on electric power. There are two reasons why you might seriously want to consider this small SUV as the perfect new family car: a price that’s hard to beat for a hybrid SUV, and Kia’s standard 10-year/100,000-mile powertrain warranty. (The similar Mitsubishi Outlander is actually a bit cheaper, but didn’t meet all of our criteria.) The 2019 Kia Niro plug-in hybrid is available for $4,543 in federal tax credits; the company also offers a plug-in version of its Optima sedan, but it has not rated by consumers on Edmunds as of this writing. Like other vehicles on this list, the KBB expert score and reviews by consumers on Edmunds are based on the XC60 as a whole and not on the plug-in hybrid specifically. However, this SUV stands out as the only all-wheel drive vehicle on this list — the Subaru Crosstrek, an AWD crossover, didn’t make this list because it wasn’t yet by KBB experts as of press time. It has one of the lower figures for battery-powered miles — only 17 — not to mention the highest price tag, but comes with a standard suite of accident-avoidance features like a blind spot information system, lane keeping aid and more. 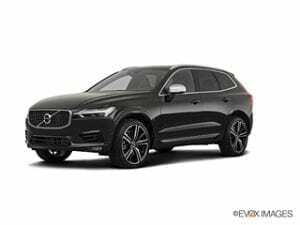 The 2019 XC60 is available for $5,002 in federal tax credits, and Volvo also offers a plug-in version of the slightly larger XC90 SUV and its S60 sedan. Though tax credits help, plug-in hybrids tend to be more expensive than traditional all-gasoline-powered cars. If you need to finance your plug-in hybrid, you have a few options, including looking to a credit union, bank or an online lender. Your best bet is to apply to a few different lenders in order to compare offers and see which is the best for you — and doing this before you step onto the car lot. Often, if you show up at a car dealership without a pre-approved auto loan in hand, dealers can raise your APR and make a profit off your loan. But if you come prepared, you can ask the dealership to beat your pre-approved APR. On LendingTree, you could fill out an online form and receive up to five potential auto loan offers at once, instead of filling out five different lender applications. Hybrid, plug-in hybrid, electric — how do they differ? Yes, there is actually a difference between a traditional hybrid car, a plug-in hybrid like the ones featured on this list and an electric vehicle (EV). A traditional hybrid has two sources of power: an internal combustion engine and and an electric motor that uses energy stored in a battery charged through regenerative braking. A plug-in hybrid (PHEV) retains a traditional gasoline-powered engine but its battery can be charged through a power outlet or charging station, giving it a greater range than EVs. An EV also plugs in, but lacks a gasoline-powered engine. Plug-in hybrids and EVs qualify for a federal tax credit, but as we’ve already noted, some of those tax credits are beginning to expire. You can search by manufacturer here to see if a car you’re interested in is eligible for the federal credit. Each of the plug-in hybrids on this list was selected for their category because of their scores in several metrics. Each vehicle had to have at least 4 stars from both KBB experts, as well as Edmunds consumers. We also looked at whether each vehicle had at least a 4-star safety rating from NHTSA or was a top pick by the IIHS. MSRPs in the article are accurate as of the date of publishing.